We try to make all our Christmas cards & last year made nearly 100, but I hadn't quite taken into account how long it would take to make & write each card! So this year we're getting ahead start with cards & gift wrap. 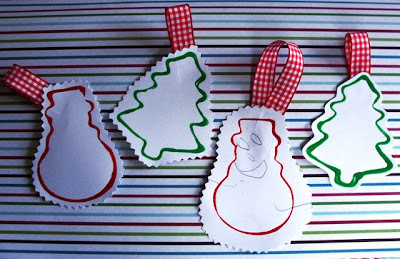 I'll share some of our cards with you in future posts, but today wanted to show you these super quick & easy gift tags. 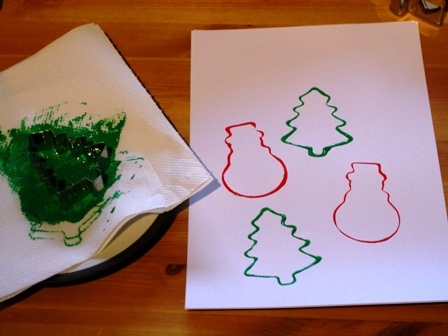 Using Christmas cookie cutters (like the ones we used for our hanging decorations) Minnie created these festive prints on white card. We added paint to kitchen paper roll to help reduce the amount paint on the cutter - my girl likes to use a lot of paint!! 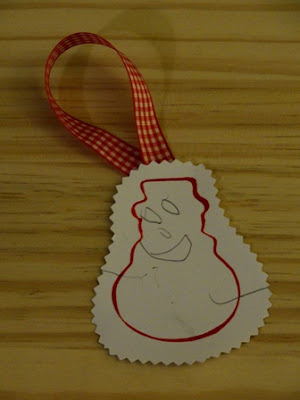 Once dry we cut around the shapes, added a loop of ribbon to the top, & Minnie finished by adding the details with a pencil. 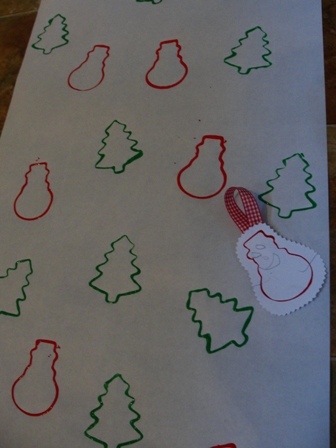 Minnie wanted to do more printing the following day, so we used a larger roll of paper with the same cookie cutters. 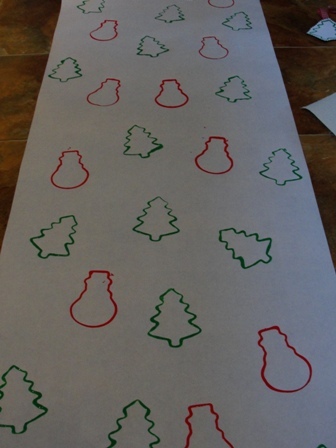 We're going to use this as our Christmas gift wrap for family presents this year.